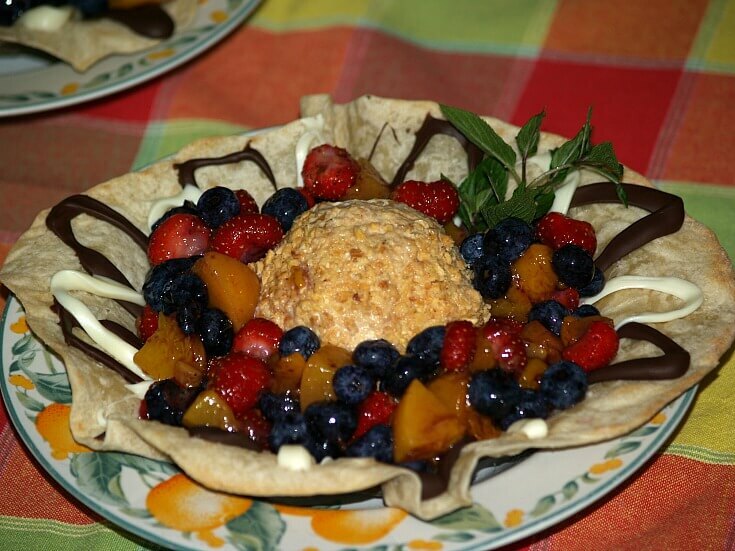 When you learn how to make Mexican dessert recipes you will see how they utilize some of their local ingredients. The first things which come to my mind for desserts are chocolate and coffee. Both of these are so delicious and so popular to use in all kinds of recipes, especially desserts. I have always thought it would be great to live in the midst of these two crops. For me, I love to sit down with a delicious chocolate dessert and a wonderful cup of fresh hot coffee. Scald 4 cups of canned evaporated milk. Stir over heat until hot and coffee and cocoa are dissolved. Pour into small cups and top with sweetened whipped cream. When learning how to make Mexican dessert recipes you will also find many of their common products are used in their desserts. A very popular item found in Mexico (And now here also) are tortillas. They are made with corn meal, whole wheat flour, all purpose flour and other types. They can be made in different sizes and are readily available in most supermarkets. Aside from appetizers and entrees, tortillas are used to make desserts. Not only are these desserts delicious but can make a beautiful presentation with a little creativity. I love to deep fry tortillas shaping them into bowls. Tortilla bowls can also be created by baking. Shape the tortillas over oven proof bowls, place on baking tray and bake about 10 to 12 minutes until lightly browned. Make sure the tortilla bowls are completely cooled before using. If baking in the oven do not remove from the oven proof bowls until cooled so as to hold the shape. I often use these to make salads but they are also delicious to serve desserts. Sprinkle hot tortillas with sugar and cinnamon for an extra touch of flavor. 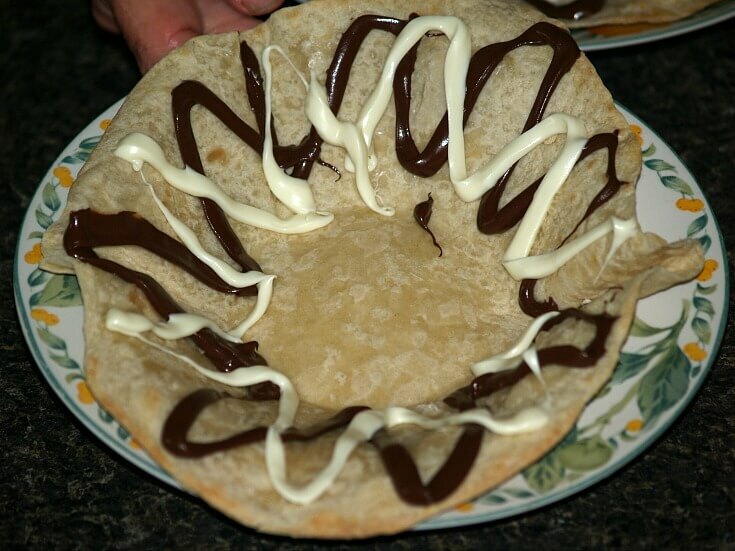 For more elegance dip rims in melted chocolate or drizzle chocolate over the cooled tortilla bowls. Chocolate will set up as it gets cold and then fill with ice cream fruit or custard. When you learn how to make Mexican dessert recipes and other recipes, you will find that deep frying is a common way of cooking. Besides frying tortillas to make bowls and entrees, tortillas are deep fried to make many sweet snacks. Deep frying is also used to create other desserts using various types of dough. One of my favorites (Some might call them a donut, cookie or snack) is the churros. 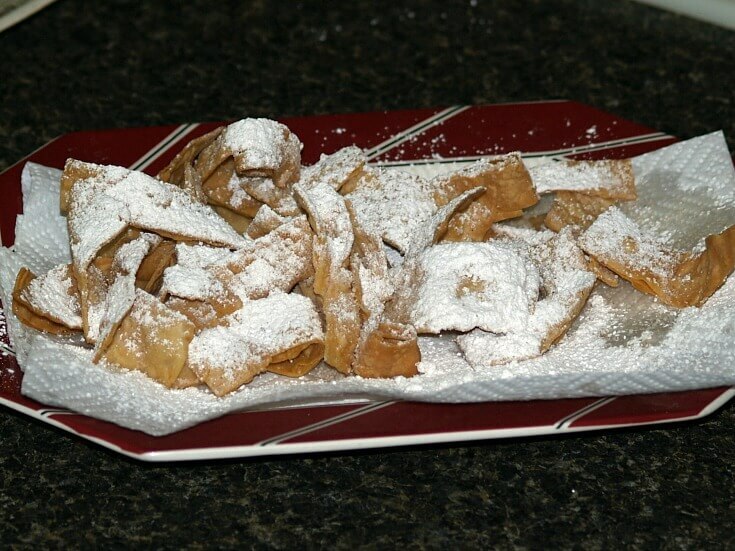 These are often dusted with powdered sugar or sprinkled with cinnamon sugar. They are so good! There are more local ingredients you might use as you learn how to make Mexican desserts recipes. Mexico has great vanilla beans. I love the vanilla made from these beans. It really adds a lot of flavor to all recipes which I use it in. Many different fruits are grown in that country. These can be added to the desserts or served along with dips, cakes, cookies and ice cream. Speaking of “ice cream”, homemade ice cream is very famous in Mexico. It is so creamy and delicious made with the rich fresh locally produced milks and creams. Actually, flan and many custard recipes are favored by all of Central and South America. This is also because of the fresh milks, creams, butter and the wonderful fresh eggs. As with the appetizer and entrée recipes, Mexican desserts are never bland. When you learn how to make Mexican dessert recipes you will find your success will be in how flavorful your recipe turns out. Learn how to make Mexican dessert recipes that are simple and healthier. COMBINE honey, cinnamon, nutmeg and yogurt; blend well and serve with fruit. Learn how to make Mexican dessert recipes that are perfect for parties. These make a great finger dessert! TO MAKE FILLING melt butter in medium saucepan. Add to the melted butter apples, sugar, cinnamon and peel. Cook over medium heat stirring occasionally until apples are tender about 20 minutes. Set pan off and keep warm. TO MAKE SAUCE combine in medium saucepan brown sugar, corn syrup, butter and cream. Cook over medium heat until mixture comes to a full boil stirring constantly. Boil 1 minute longer and remove from heat; stir in pecans and vanilla. TO ASSEMBLE heat ¼ inch of oil in small skillet over medium high until very hot. Fry tortilla in the skillet for 15 to 20 seconds on each side until crisp. Drain on paper towels and FOLD IMMEDIATELY in half; repeat with remaining tortillas. Fill each folded tortilla with ½ cup of filling; serve with praline sauce. Garnish with whipped cream; serves 6. Learn how to make Mexican dessert recipes like this rich frozen treat! Combine wafer crumbs, sugar and butter; mix well and RESERVE ¼ cup. Press remaining mixture in bottom and 1 inch up sides of greased 9 inch spring form pan. In mixing bowl combine cream cheese, milk and chocolate; beat until smooth. Fold whipped cream into the cream cheese mixture; pour over the wafer crust leveling top. 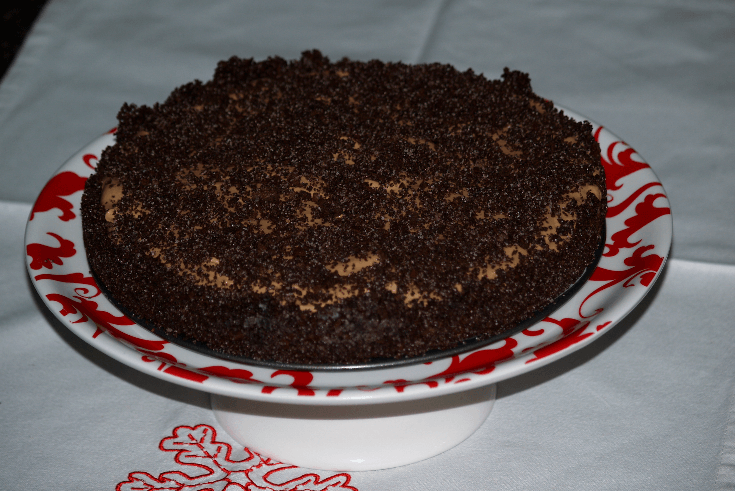 Sprinkle remaining crumb mixture over the top; cover and freeze at least 8 hours. Uncover and set out 10 minutes before serving; 10 to 12 servings. Break chocolate into small pieces; heat water in bottom of boiler over moderate heat until hot. Place chocolate pieces in top of double boiler; add the 2 tablespoons water and sugar. Stir until sugar dissolves and chocolate melts; remove top pan from heat. Beat in egg YOLKS briskly one at a time; place back over hot water stirring for 5 minutes. Remove from heat and stir in cashews; set aside. Beat egg whites until stiff peaks form; fold into the chocolate mixture. Pour into a lightly buttered 1 quart soufflé mold; refrigerate overnight. To serve turn mold upside down on plate. Place a hot wet towel over the bottom of mold until mousse comes out on plate. Serve with whipped cream; sweeten if you like; serves 6. Learn how to make Mexican dessert recipes like this treat you can buy on the streets. Combine butter and water in a medium saucepan; stir over low until butter melts. Bring mixture just to a boil; add salt and set off heat. Add flour all at once beating briskly with a wooden spoon. Place over low heat and beat until smooth about 2 minutes. Remove from heat and cool slightly; beat in eggs one at a time beating well after each. Add vanilla; continue beating until a satin like finish. Pour enough oil to about 1 ½ inches in a deep skillet or a deep fryer. Slowly heat oil to 380F degrees. Press donut dough through a large pastry bag with a large fluted tip (1/2 inch wide). With wet shears cut dough into 2 inch lengths as it drops into hot oil. Lift out with slotted spoon and drain on paper towels. Mix cinnamon and sugar; coat churros well. Beat shortening on medium speed of mixer until fluffy. Gradually beat in 1 cup sugar until well blended. Add eggs and anise seeds; beat until well blended. Combine flour, baking powder and salt in another bowl. Add flour mixture to shortening mixture alternating with sherry. Beat well after each addition and well at the end. Shape dough into a ball; roll to ¼ inch thickness on a floured surface. Cut with a 3 inch round cutter and place on a lightly greased baking sheet. Combine ¼ cup sugar and cinnamon; sprinkle over cookies. Bake 8 to 10 minutes until lightly browned; cool on rack. Learn how to make Mexican dessert recipes that contain coffee, vanilla and cinnamon. Process coffee and ¼ cup milk in blender until coffee dissolves. Add remaining milk, eggs, sugar, sugar, flour, salt and vanilla. Process mixture in blended until well blended. Pour mixture into 6 custard cups (6 ounce size); sprinkle tops with cinnamon. Place custard cups in a 13X9 inch baking pan; pour hot water in bottom of pan 1 inch deep. Cover pan with foil; bake 1 hour and 10 minutes until knife inserted in center comes out clean. Place custard cups on rack to cool completely; cover cups and chill overnight. To serve top with whipped cream; serves 6. 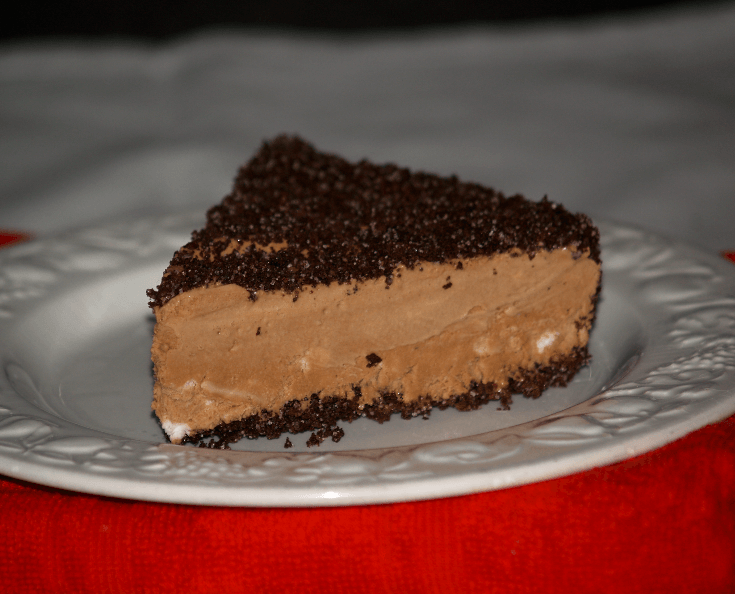 Learn how to make Mexican dessert recipes with a pretzel crust. TO MAKE CRUST combine and mix ingredients. Press crumb mixture in bottom of ungreased spring form pan (8 or 9 inch). Freeze crust while mixing filling. TO MAKE FILLING combine and mix ice cream and margarita mix. Fold in sliced strawberries; spoon into pretzel crust. Cover and freeze for 4 to 6 hours or until firm; freeze remaining dessert.